the vehicles horn. Two lighted rocker switches are also included for controlling emergency lights..
and ensures you the strength to get you where you need to go and be heard like one of the big fire trucks. SC-1012 Volunteer is backed by a no-hassle 5-year limited warranty. 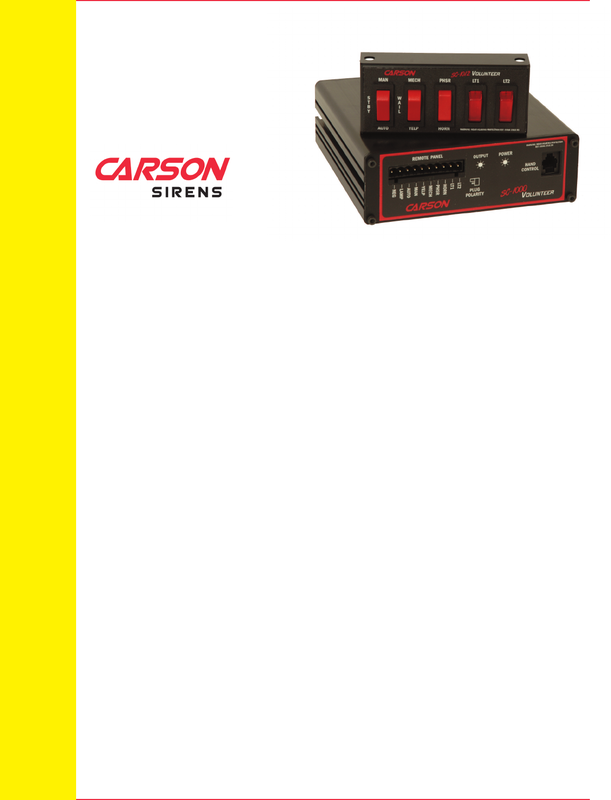 tent quality that comes with every Carson Siren. truck clearing traffic. This siren will set you apart from the rest. : Two lighted rocker switches for controlling auxiliary lighting. with the wiring and speaker should the system fail to produce a warning signal. “a small siren with big results”.